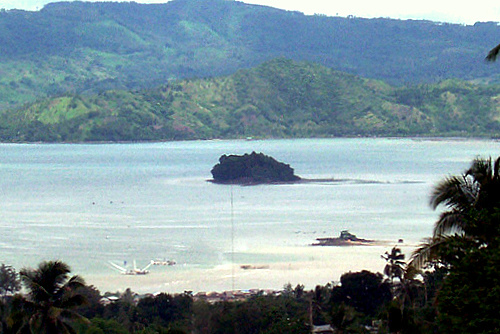 The city of Pagadian is the capital of Zamboanga del Sur province in Mindanao. It is called by some as the “Little Hong Kong of the South”, but not because of the skyscrapers and bright lights. In fact, the city is still in its developing stages. Rather, it is similar to Hong Kong because it also has a hilly terrain that plunges into a bay. What it may lack in modern infrastructures at present, it makes up for with a laid-back city life and plenty of natural wonders. And perhaps, this is why Pagadian is charming and attractive to adventure seekers, or to those who like to discover places that are not yet spoiled by commercialism and too much tourism. Explore this city with open eyes and an open mind, and you will end up delighted with your discoveries. This is one of the most well-known local attractions and is located just about 10 minutes away from the city. You have to take a motorized boat from the seaport to get to this island. There are actually two islands named Dao-Dao. They are Dao-Dao Dako (which means big), which is the larger one, and Dao-Dao Gamay (which means small). There is a resort with cottages at the former. The latter is an islet that appears during low tide, and you can even walk going there coming from the bigger island when the water recedes. However, you will still be at least half submerged in water, so still take caution. You will find man-made coral reefs surrounding the islands. Both places are great for swimming, fishing, and boating, or just enjoying a pretty view of Pagadian. 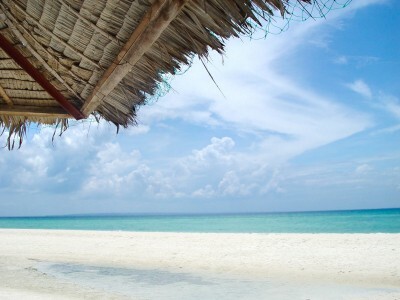 Get More Vitamin Sea at Puting Balas – This white sand bar is just a few minutes from the seaport and is surrounded by clear, inviting waters. Go Around the Rotunda Park – Located on top of Bulatoc Hill, you get some of the best views of F.S. Pajares Avenue, the main road that rolls down towards Illana Bay. There are also horses that you can ride for a small fee to circle the park. Ride the Iconic Tricycles – A roofed sidecar attached to a motorcycle, more commonly known as a tricycle, is a common sight around the Philippines. But in Pagadian, the three-wheeled vehicles are unique in that they are tilted at about an angle of 45 degrees. This makes it easier for them to traverse the hilly terrain of the city. 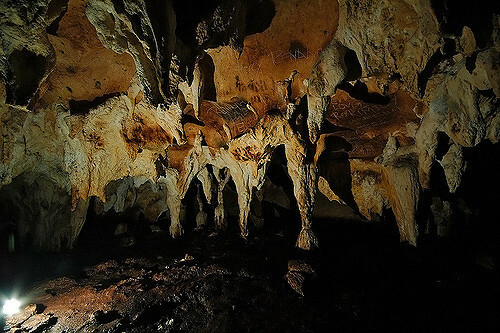 Explore Guipos Cave – With a choice of Extreme or Easy, you can choose which spelunking adventure is more to your taste (and energy). Prepare for tunnels half filled with water, narrow crawl spaces, and magnificent stalactites. If you are coming from Manila, there are daily flights to and from Pagadian. The trip takes about 1 hour and 35 minutes. For those traveling by air from Cebu City, there are also flights every day to Pagadian, and travel time is an hour or so. And for transportation coming from other places in Mindanao, your choices are either buses, ferries or ships.